The majestic beauty of nature, exalted by the absolute refinement of jewellery: stunning one-of-a-kind creations pay tribute to the light and colours of the seasons, as well as the boundless emotions they inevitably stir in the human heart. A majestic stage production bearing the Chopard signature. Inside the Chopard Haute Joaillerie workshops, just as in the natural world beyond it, enchantment is above all a matter of light. The fairytale radiance of the snow when it shrouds the landscape, the finely gilded glow of an endless summer. The craft masters of the Geneva-based company masterfully reinvent and magnify every beam of luminous magic in crafting unique Haute Joaillerie creations. In the Chopard workshops, everything begins with a story of hands: those of the expert, patient and inventive artisans within the Manufacture who successively apply their skills to these exceptional creations. Chopard is keenly aware that the most precious heritage is above all, those responsible for crafting these exceptional pieces and also that . 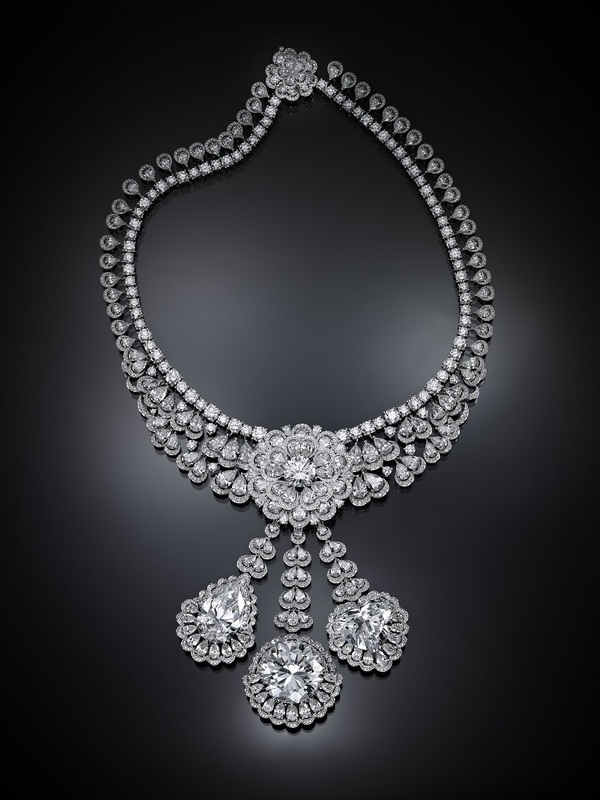 Chopard creations are an integral part of the proud High Jewellery tradition, the creativity of Chopard Co-President and Artistic Director Caroline Scheufele and artistic crafts are exercised at the very highest level there: lost-wax carvers and casters, jewellers, lapidaries, gemsetters and polishers…. The story of this stone is a journey. 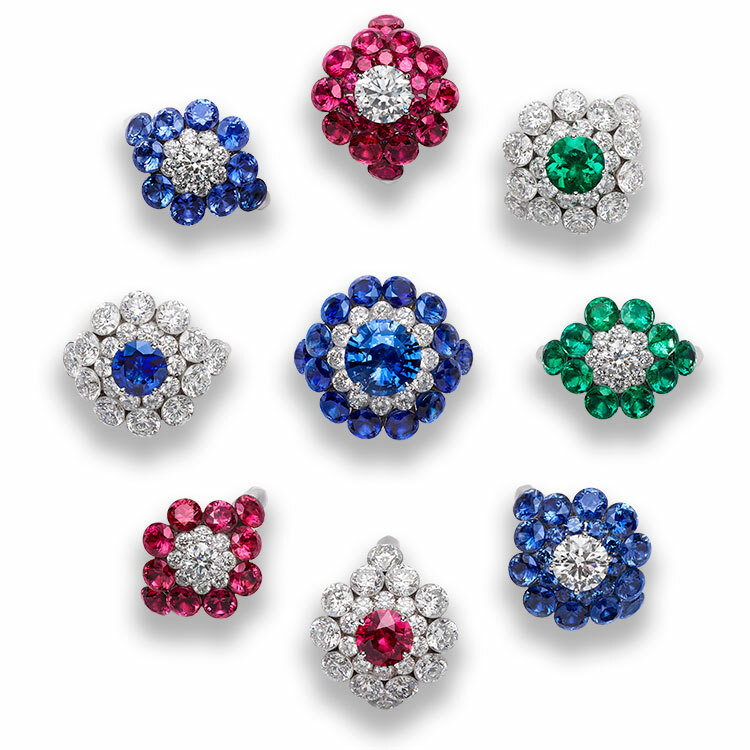 A journey through what makes Chopard so very singular and special, its artistic vivacity and technical virtuosity. It conveys the importance the Geneva-based Maison attaches to mastering all stages governing the creation of a piece of jewellery. At the helm of these endeavours, co-president Caroline Scheufele has consistently provided the impetus designed to guide Chopard towards pursuing excellence and exploring new territory. It is she that has followed the adventures of this extraordinary diamond step by step in the quest to ensure its lasting destiny. The discovery of The Queen of Kalahari, this exceptional 342-carat stone of perfect colour and absolute purity, has given rise to a set of 23 diamonds – The Garden of Kalahari – of which five weigh over 20 carats. Drawing upon the virtuosity cultivated in the field of artistic craft that has forged Chopard’s reputation, six fabulous pieces of jewellery have emerged from the High Jewellery workshops of the Maison. Evoking Haute Couture’s sophisticated techniques, our Haute Joaillerie collections draw you into an exclusive world. Delicate and precious, finely wrought and ablaze with light, the iconic High Jewellery collections by Chopard are an exquisite embroidery mingling creativity with sensitivity. Introduced in 2016 with jewellery sets inspired by a blooming corolla or the flurry of a whirling tutu skirt, Precious Lace signature now welcomes dainty long ear pendants, openworked necklaces and an exceptional diamond lacework watch. 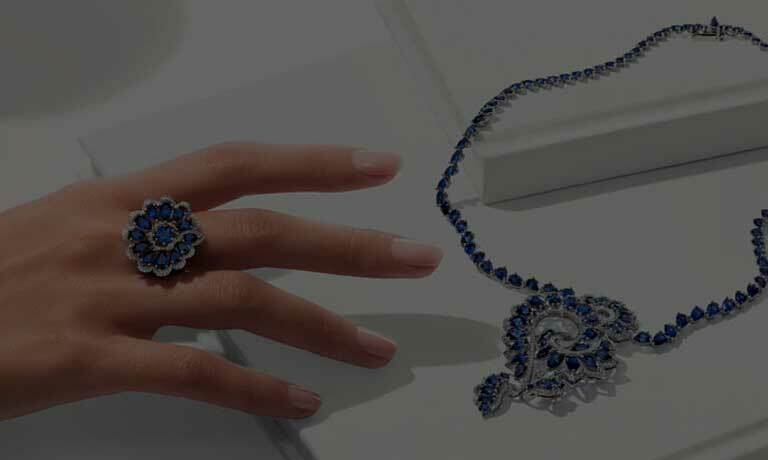 With Precious Lace, the jewellery artisans of the Geneva-based Maison become lacework experts. 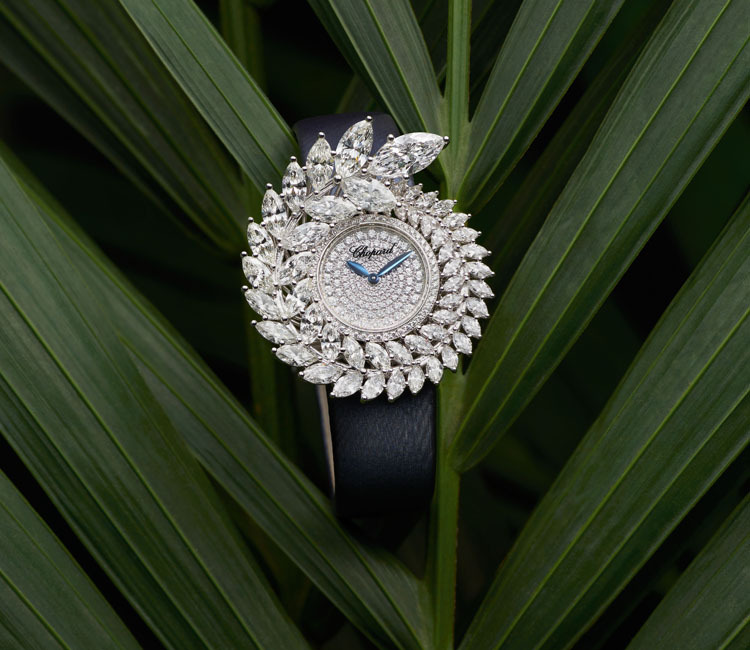 The masterpiece among the new releases gracing the Precious Lace concept is a majestic watch. It features a bracelet embracing the wrist like two interwoven ribbons: one featuring a lacework of brilliant-cut diamonds, and the other composed of reverse-set pear-shaped diamonds. 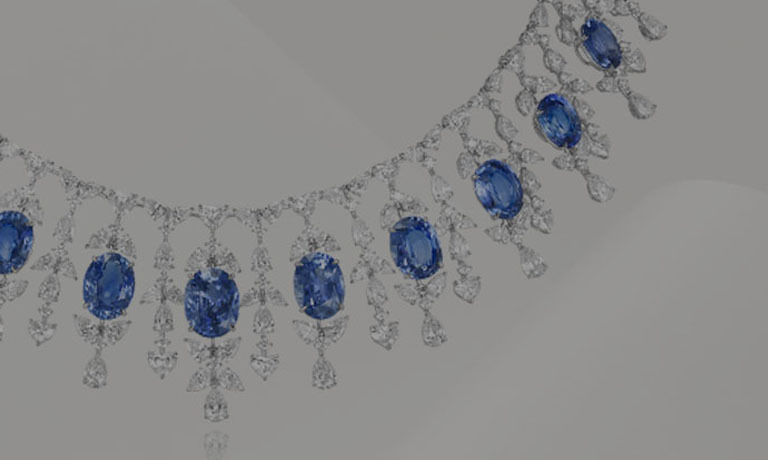 Adorning the sapphire crystal, a few delicate precious stone lacy tendrils that appear to have escaped from the bracelet glowing with absolute purity and finesse, testifying to the expertise of an exceptional master gemsetter. This dazzling showcase for stunning jewellery skills is complemented by refined and precious earrings and necklaces. Like finely worked ornamental trimmings, they pick up the subtle curves of the collection in a daintily interwoven play on pear-shaped and brilliant-cut sapphires and diamonds, stemming from Chopard’s unique blend of sophisticated technical virtuosity and resolutely modern artistry. Chopard, the Artisan of Emotions, ignites the traditional world of Haute Joaillerie with a scintillating new collection, Chopard Magical Setting. The spectacular radiance of these majestic cluster rings, pendants and earrings is made possible by an ingenious and innovative secret setting that allows the diamonds and precious coloured stones to shine supreme, to play with light as never before. The romance between Chopard and the Red Carpet began in 1998, when we became Cannes Film Festival’s Official Partner. 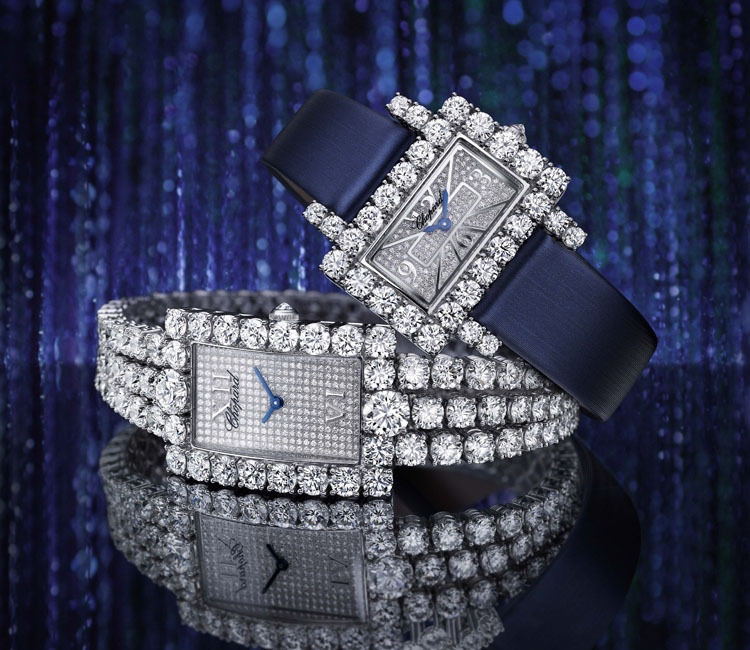 The Red Carpet Collection unveiled each year at the Cannes Film Festival provides Chopard with a reoccurring opportunity to push beyond the limits of its haute joaillerie while expressing cherished values. Worn by world-renowned actresses on the famous steps of the Palais des Festivals, “Red Carpet” pieces draw as much from the exceptional creativity of the Swiss-based Maison as on its expertise in the field of High Jewellery. 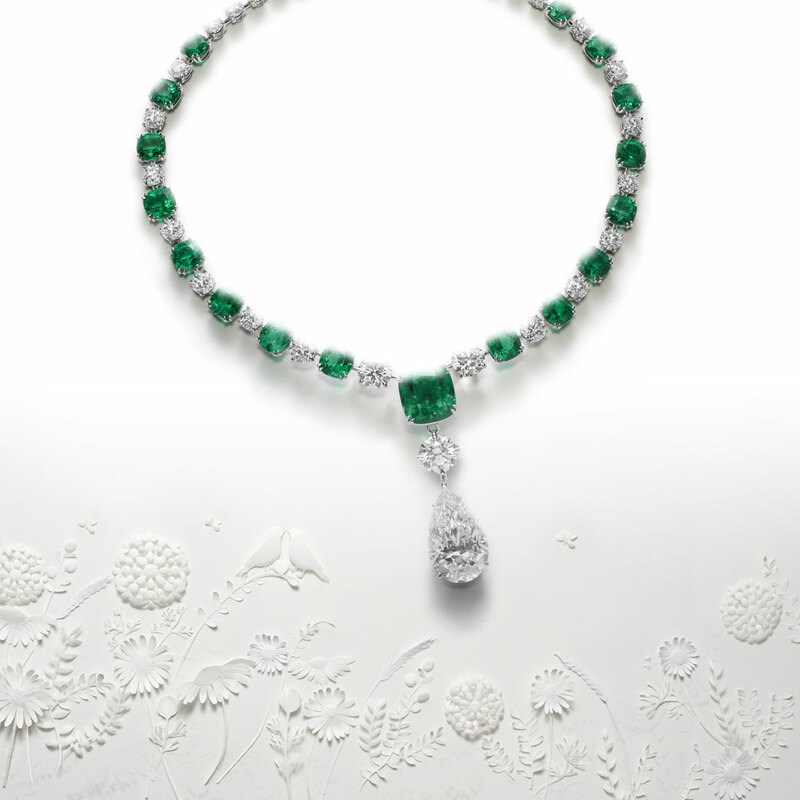 Chopard unveiled a major new step in its Journey to Sustainable Luxury when for the first time it enriched its Green Carpet Collection of High Jewellery with responsibly mined emeralds. 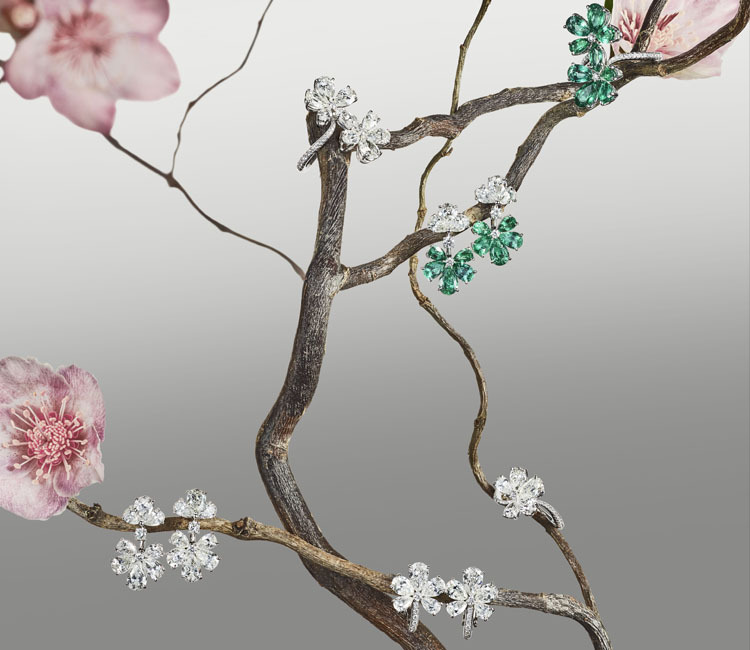 Today, iconic jewellery models in this collection are set with these precious green gems. 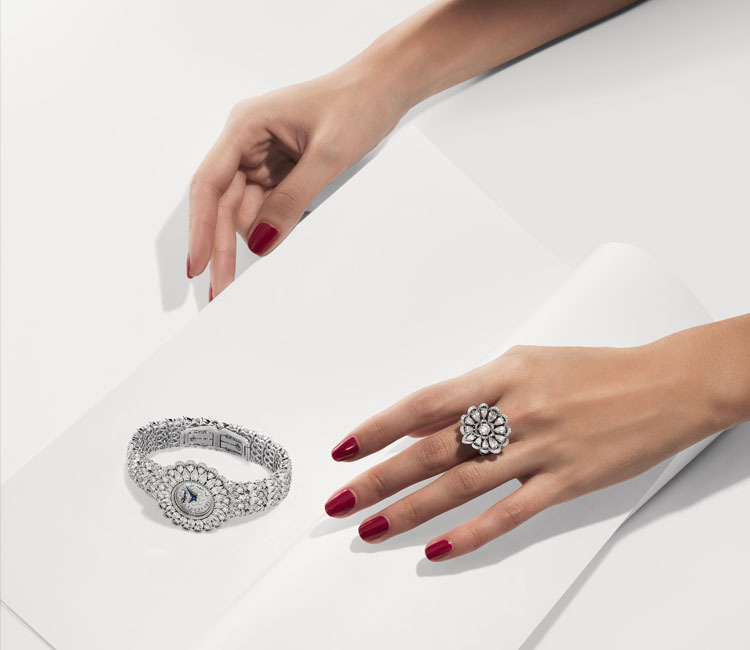 By adding coloured stones to its roadmap towards sustainable luxury, the Geneva-based Maison continues to blaze the trail and play a pioneering role in the jewellery industry. When jewellery tradition meets watchmaking expertise, Chopard’s gifted exponents of the different artistic crafts unite their talents in creating “L’Heure du Diamant”. Jewellery creations stem from a precious blend of elegance, expertise and originality. With For You, a fine watch and jewellery collection, the Swiss-based Maison flirts with demystified luxury, embodied in dainty ready-to-wear pieces. What do a shimmering tiger, rubellites and a diamond watch have in common? They share the same excellence, expertise and creativity that imbues each of our Haute Joaillerie collections. With Animal World, Caroline Scheufele forms an incredible menagerie made of precious stones. 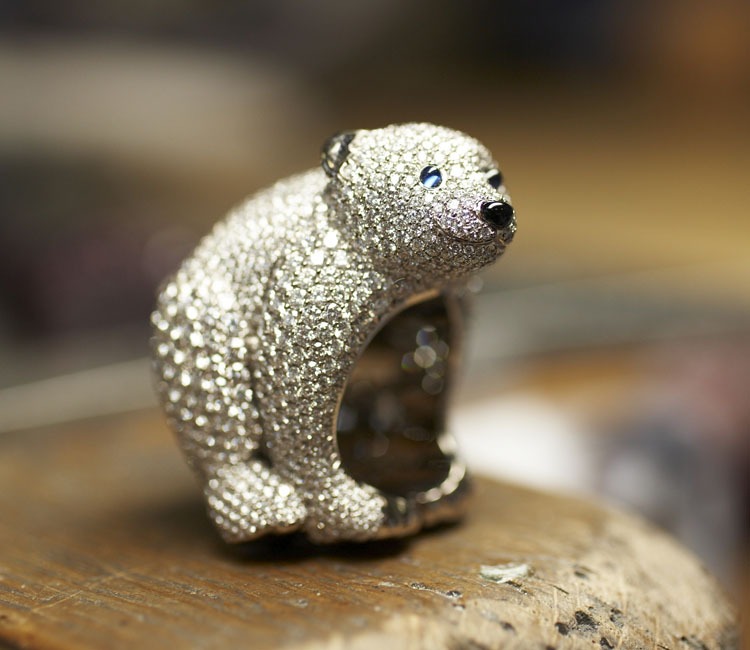 To celebrate the occasion of its 150th anniversary, Chopard has taken on the new challenge of signing an Haute Joaillerie collection of 150 unique animal-themed pieces. The result is an extraordinary collection of beautiful, mysterious and dream-like animals.